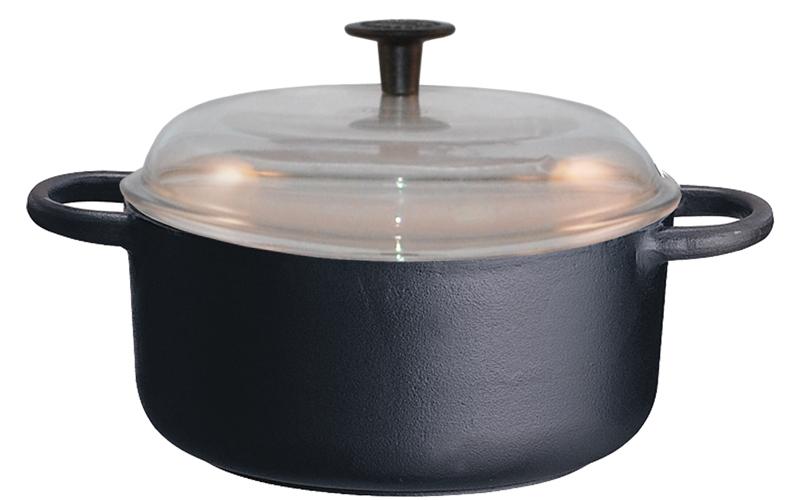 Description: Round casserole/Dutch oven 4 liters with boro silicate glass lid, can be used in oven to a temp of 220ºC. Diameter 25 cm. Preseasoned with Swedish KRAV certified rapeseed oil.